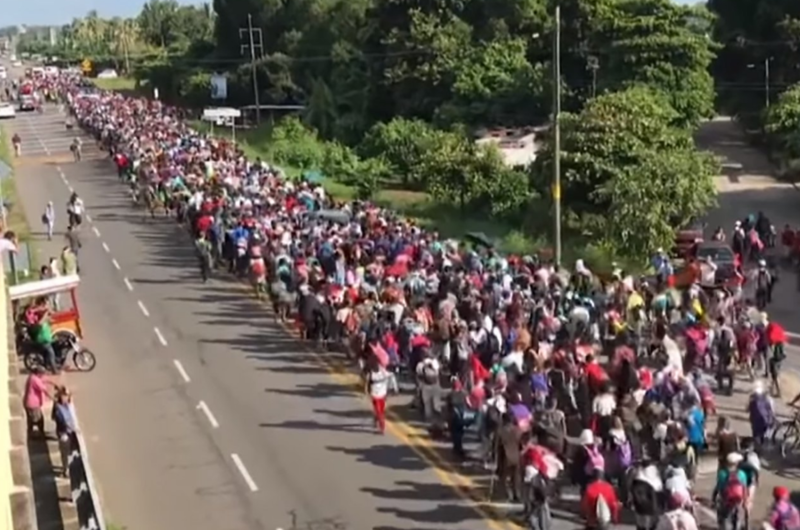 With the suspected mail bomber in custody, the eyes of the US media will soon be turned to the surging 7,000 strong immigrant caravans in Mexico again. Now split up in the southern Chiapas and Oaxaca states, the Mexican government is hoping to find a solution as the threat of a temporary border closure, which US President Donald Trump issued earlier this week, would affect its brittle economy even further. In his last weeks in office before his successor takes over, Mexican President Nieto, therefore, took the initiative and today offered the Central Americans temporary work permits, ID cards, medical care and schooling for the children. Public employees are sent to explain the ‘Estas en Tu Casa’ (this is your home) offer to the many immigrants that are currently on its soil. The scheme would be offered to any one of them who officially ask for refugee status in Mexico. In a nationally televised address, President Nieto said: "Today, Mexico extends you its hand," before adding: "this plan is only for those who comply with Mexican laws, and it's the first step towards a permanent solution for those who are granted refugee status in Mexico." However, reporters embedded with the caravan say that most of them had no intention of taking up Mexico’s offer. Mr. Jose Santos from Honduras stated: "The majority plan to cross the border. And that's my intention, too. Because, yes, while life here is calmer than at home, it's still not like the US where it would get better. That's the goal: to have a better life." Others agreed, with Ms. Anna Lisset Velazquez, also from Honduras, claiming: "It's a kind offer - but it's not the plan that we have, to stay here halfway up." The large group of migrants explained to reporters that they are fleeing persecution, poverty, and violence in their respective home countries of Guatemala, Honduras, and El Salvador. In response, the White House administration has threatened to cut financial aid to those countries unless they can convince their countrymen to return home. With the midterm election only two weeks away, it looks like immigration will become a front and center issue again.